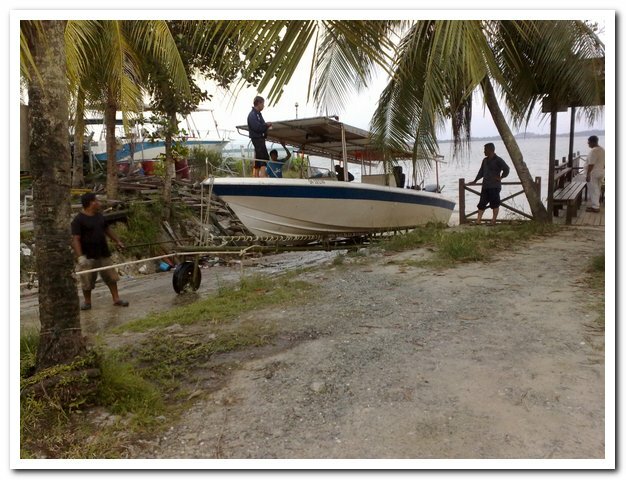 Went to Taganak today with Jepp, Bob, Amiludin, Bakry and Datuk O.K. Liew and his gang. 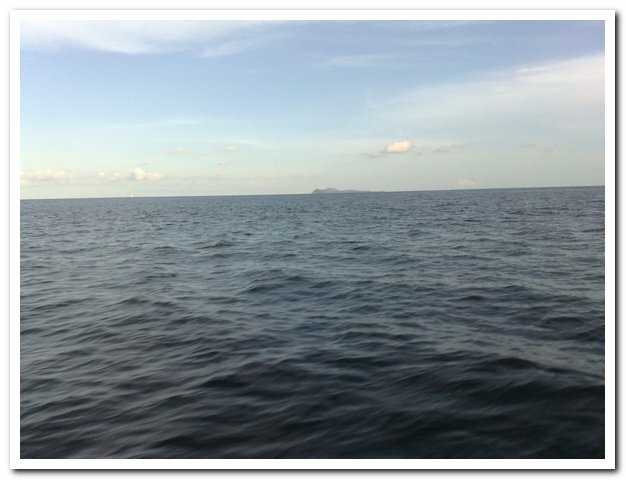 The weather was fine and the current was good. 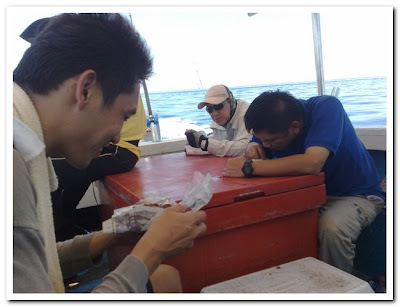 Unluckily, the bite rate was too low that some of us even felt sleepy. 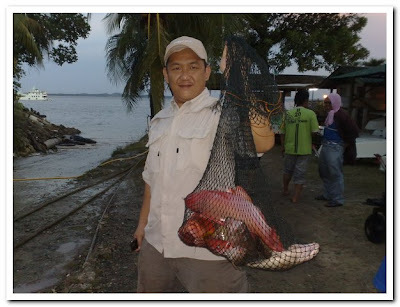 Datuk O.K Liew and his gang. A Taiwanese guy with his rod holder. 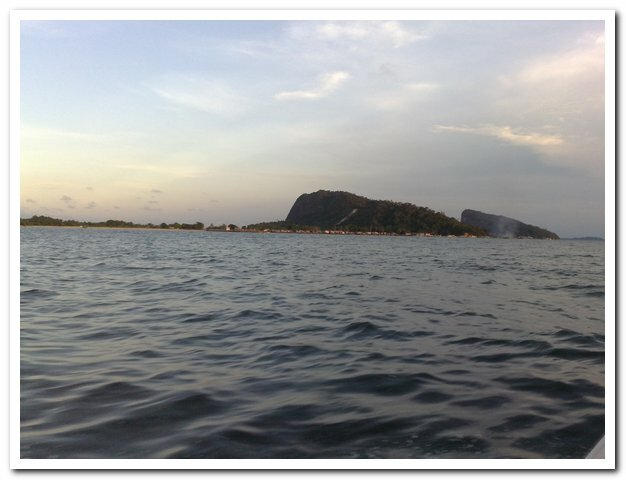 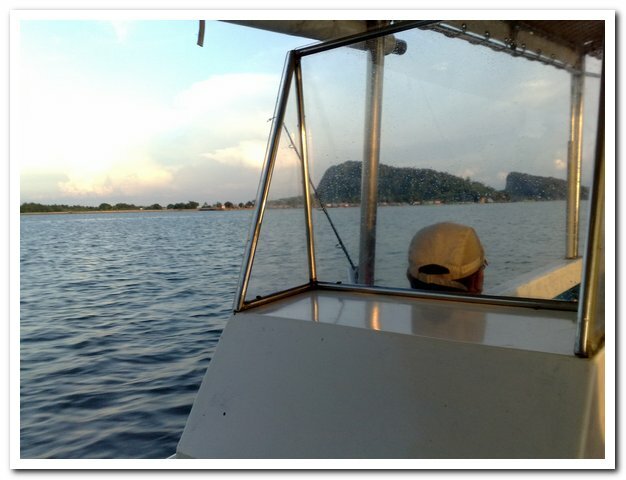 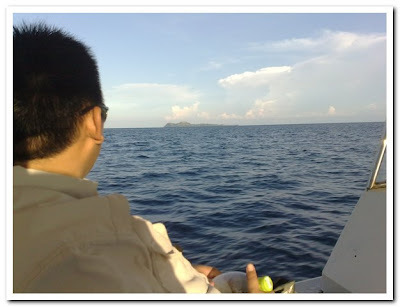 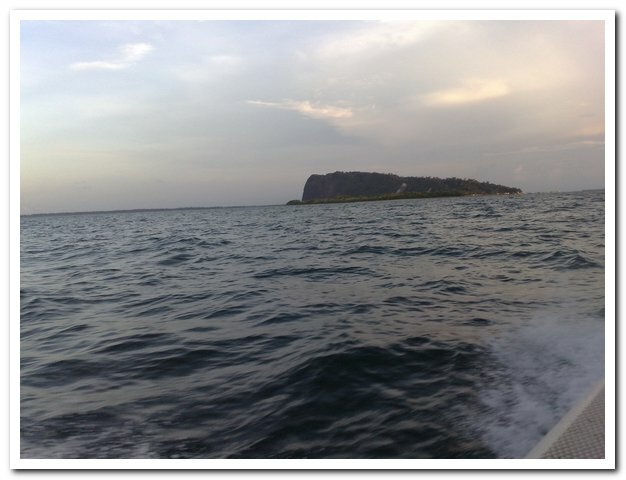 The scenery along the way towards Taganak Island. Some of the highlights in this trip. 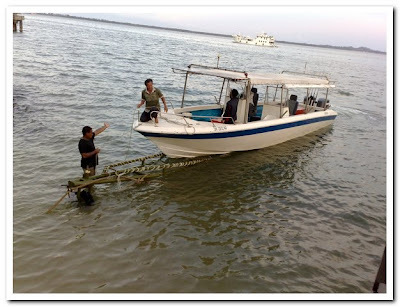 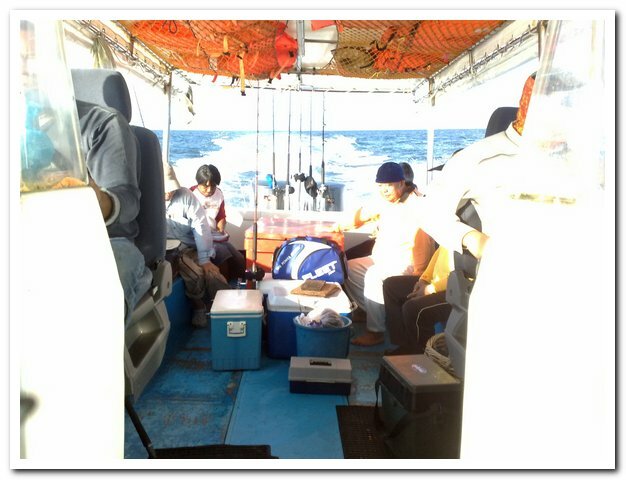 The speed boat we used in this trip. 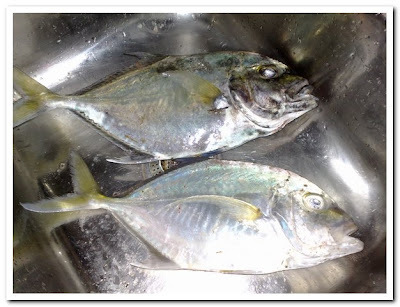 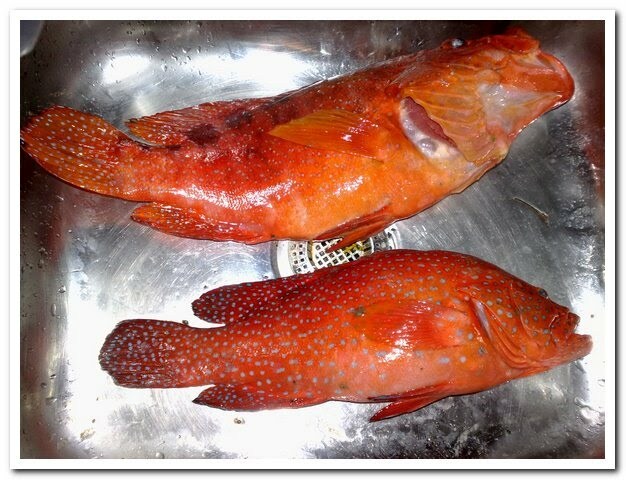 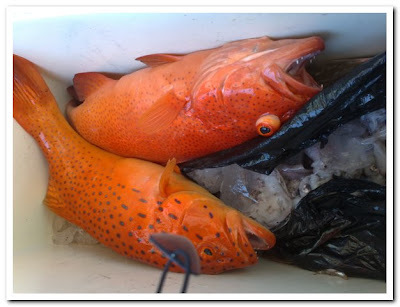 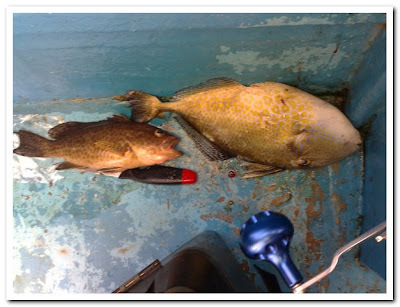 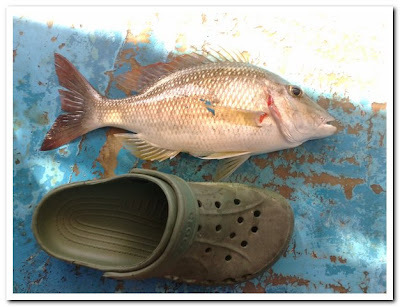 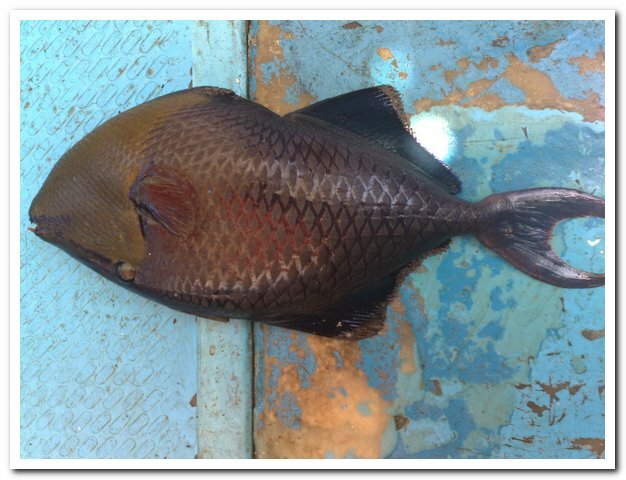 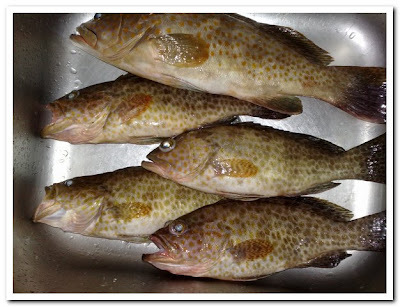 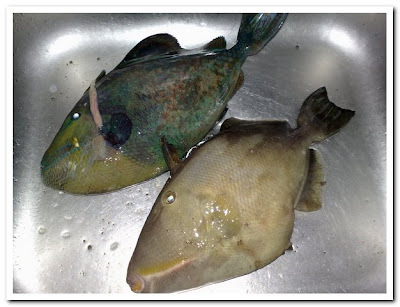 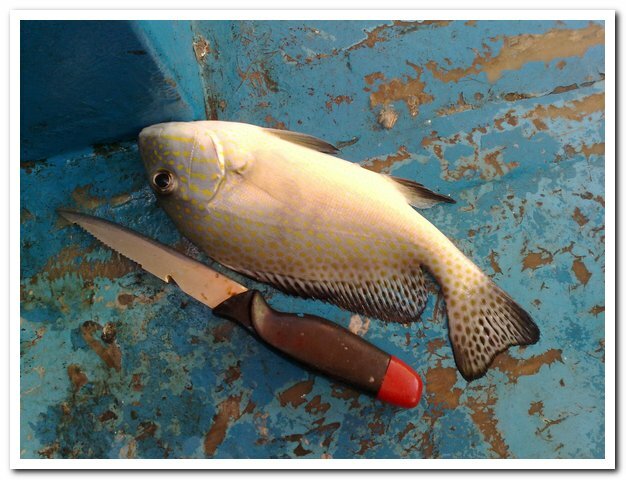 A 1kg and 200g trigger fish. 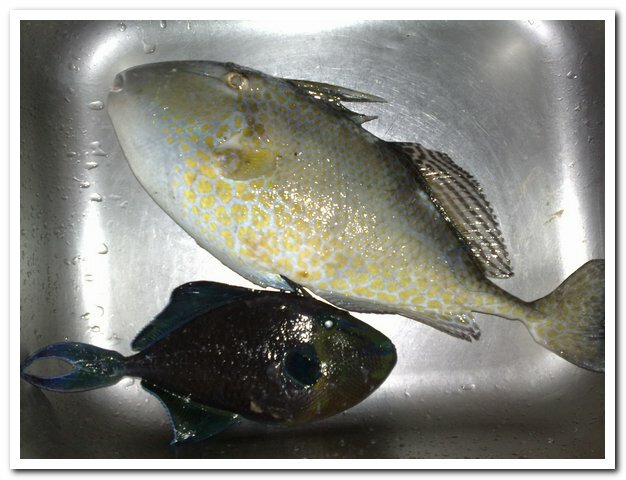 A pink ear emperor, a sweetlips and a baby coral trout. 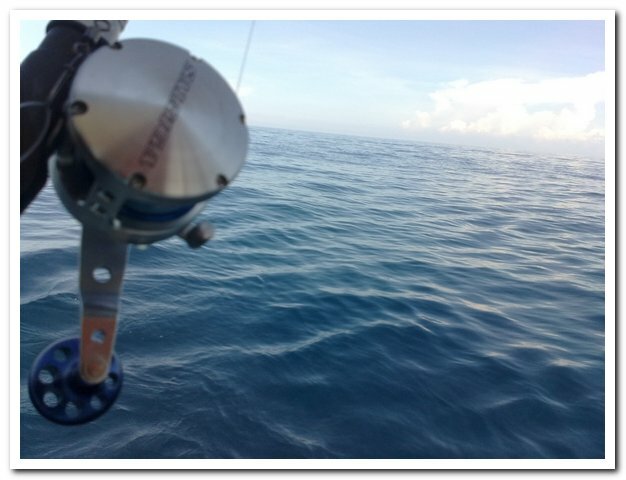 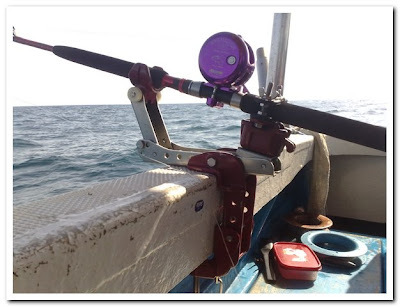 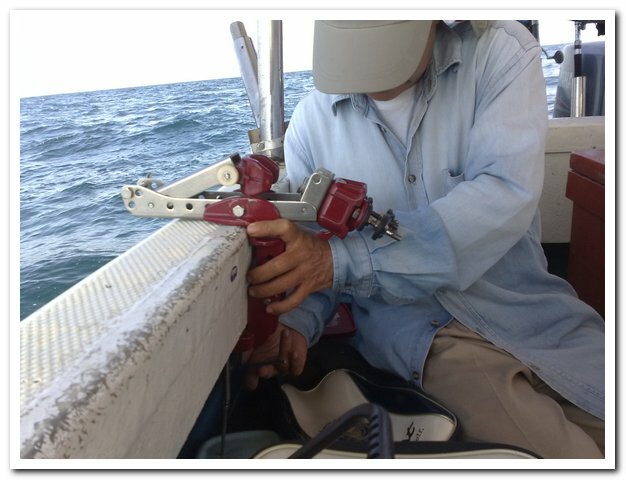 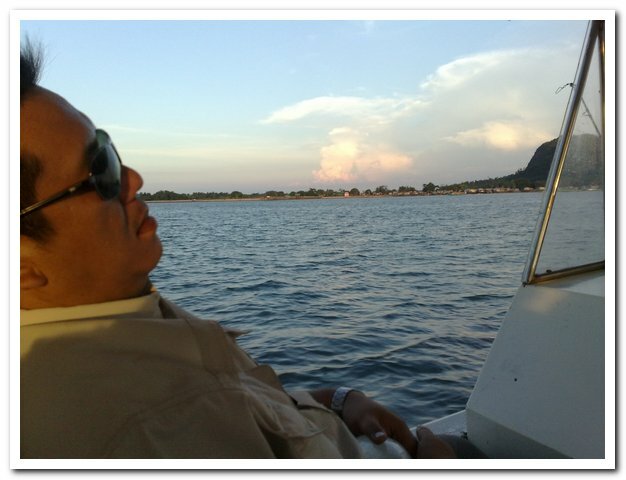 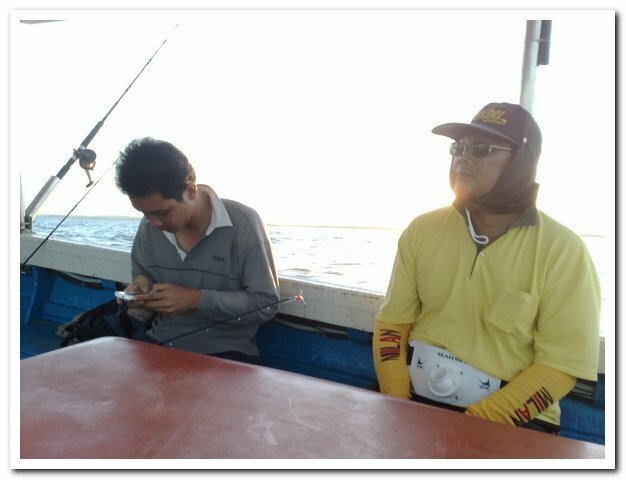 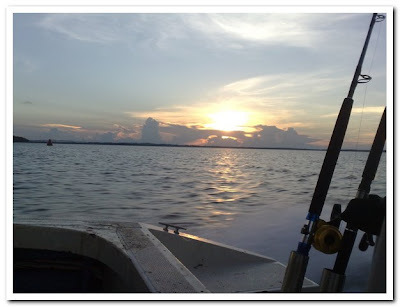 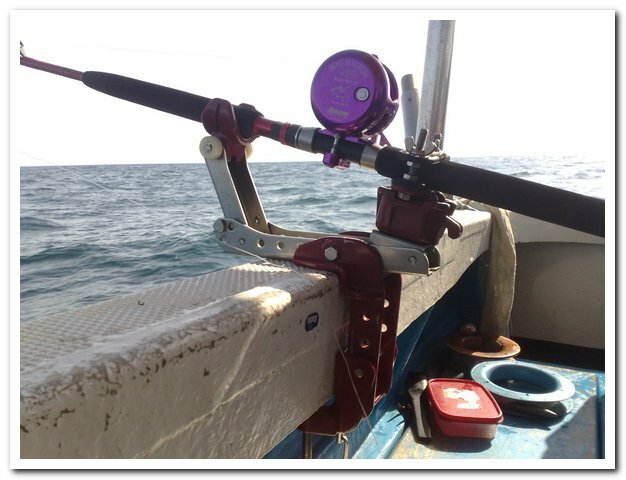 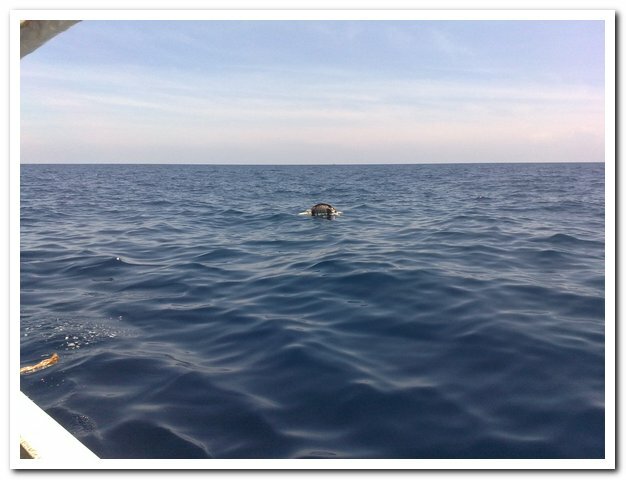 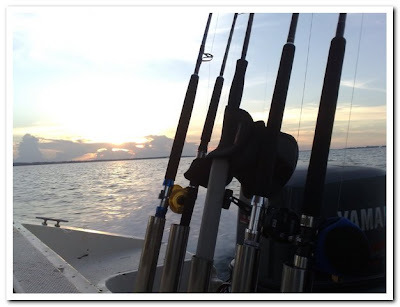 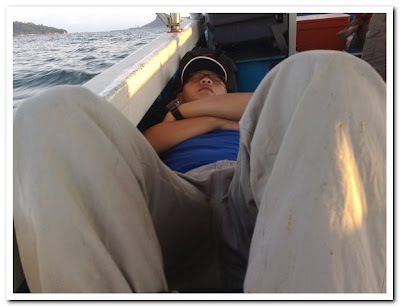 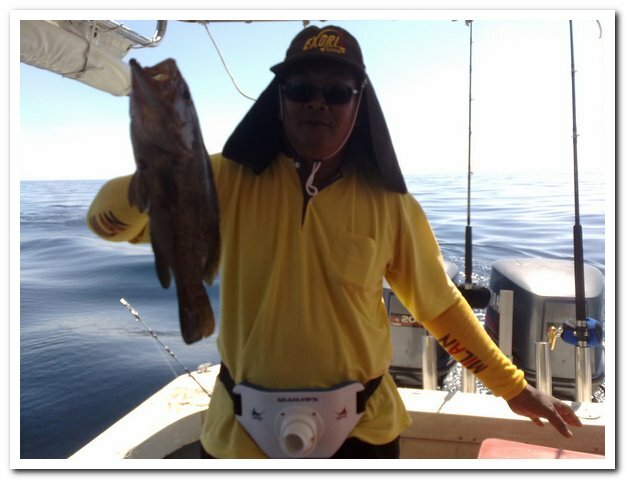 This was the worst trip I had fishing with Botak Jack. The bite rate was low but I'll surely go fishing again soon. 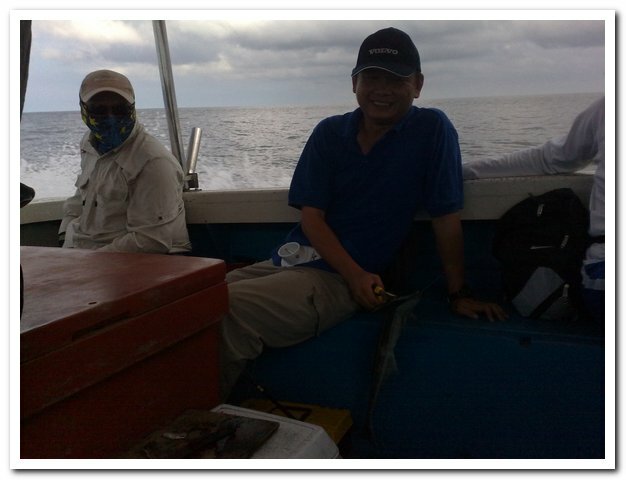 Trip Members : Jason, Bob, Bakry, Jepp, Ismail, Andrew, Aminudin and myself. 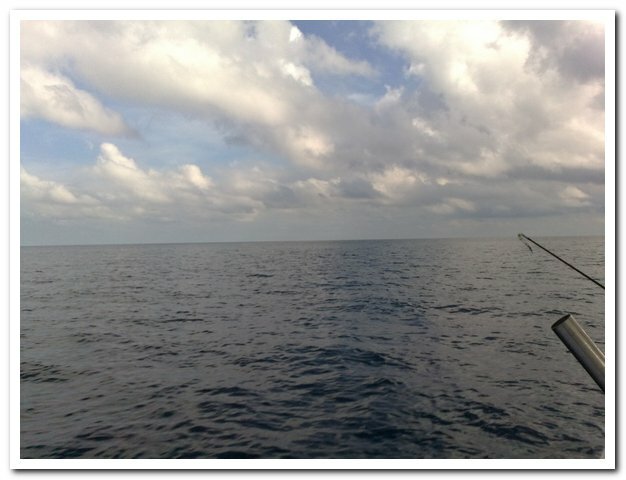 Some of the highlights in this trip. 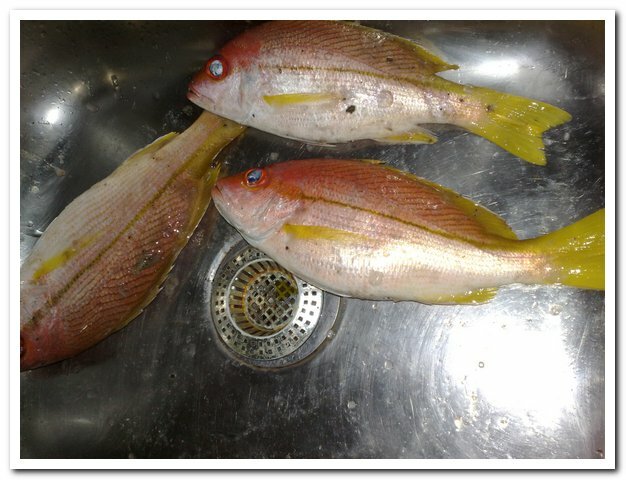 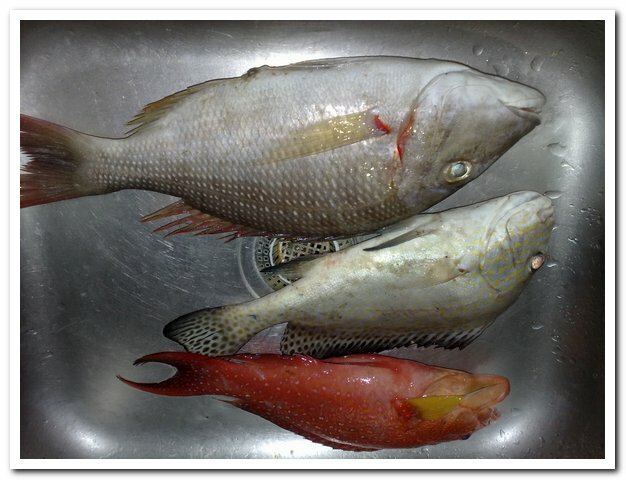 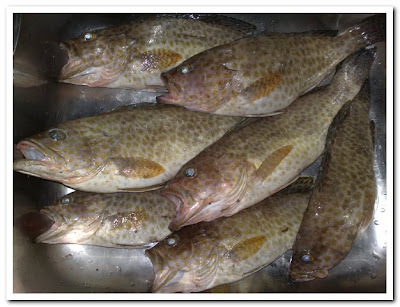 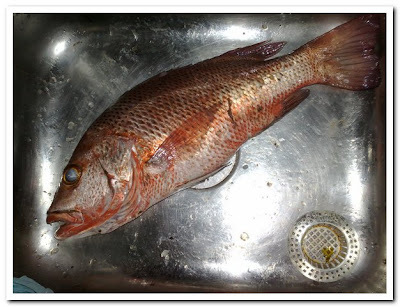 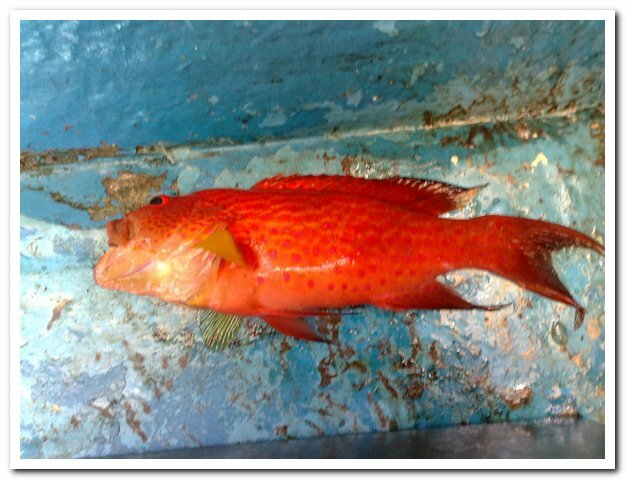 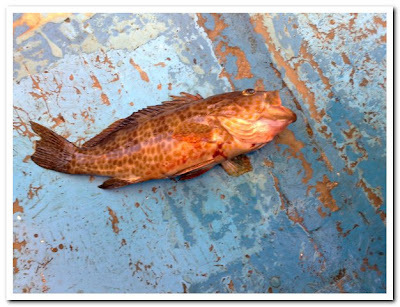 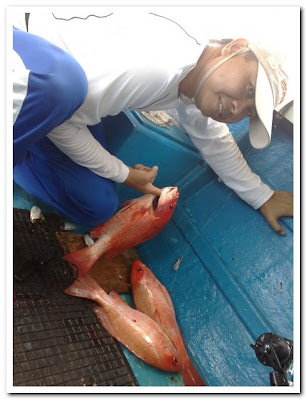 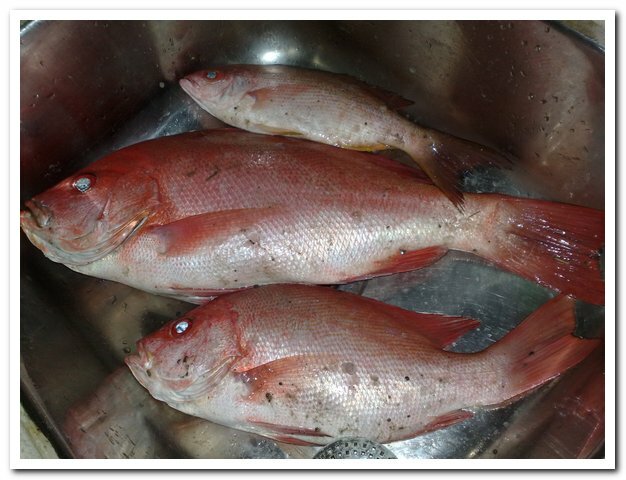 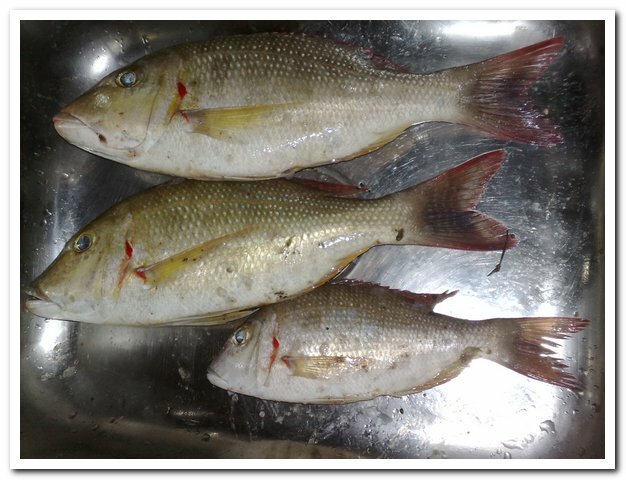 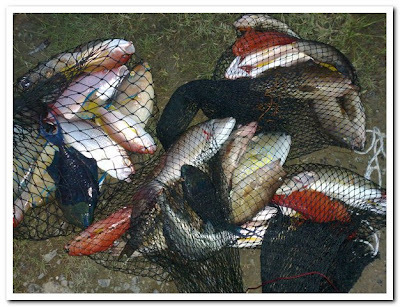 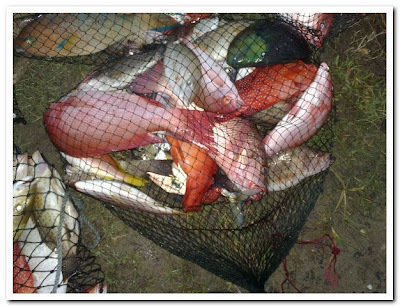 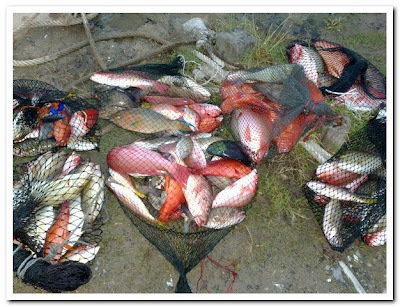 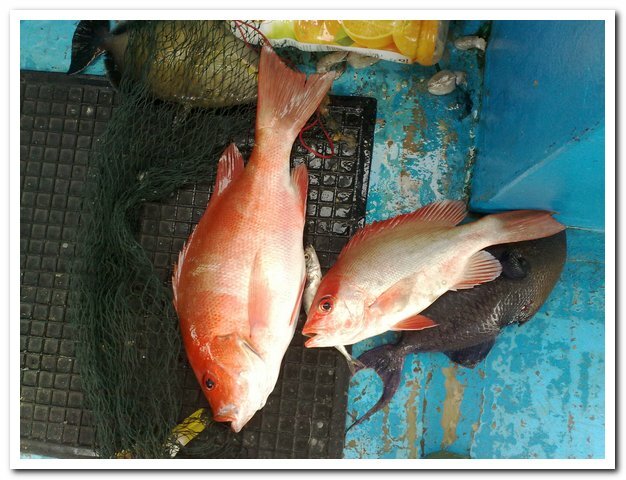 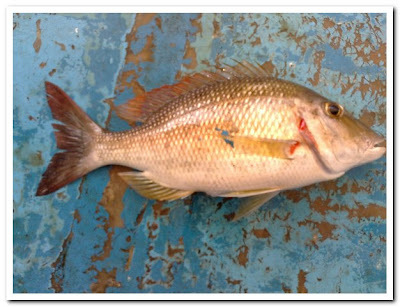 Red snappers caught by Bakry at the first spot. 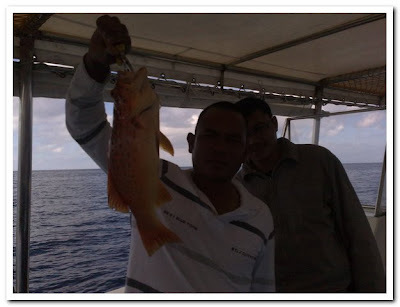 Bakry with the best catch of the day. 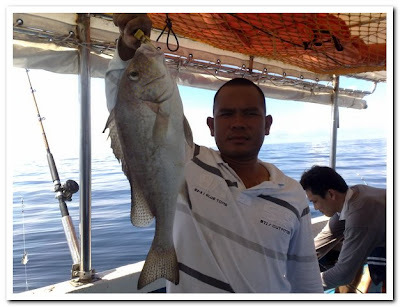 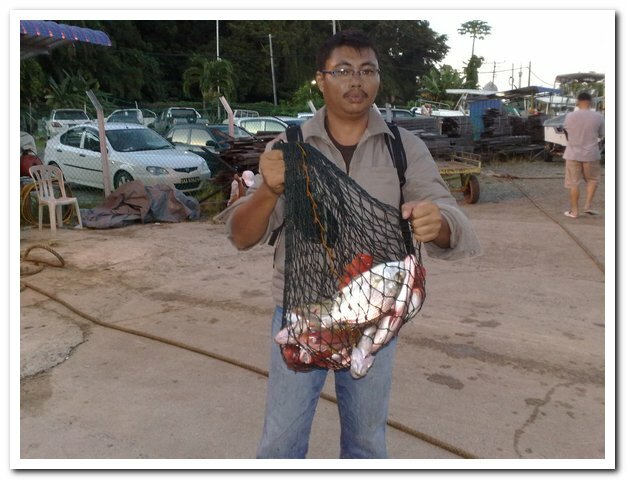 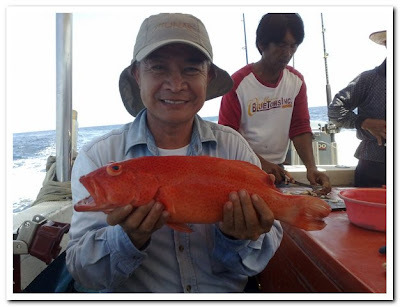 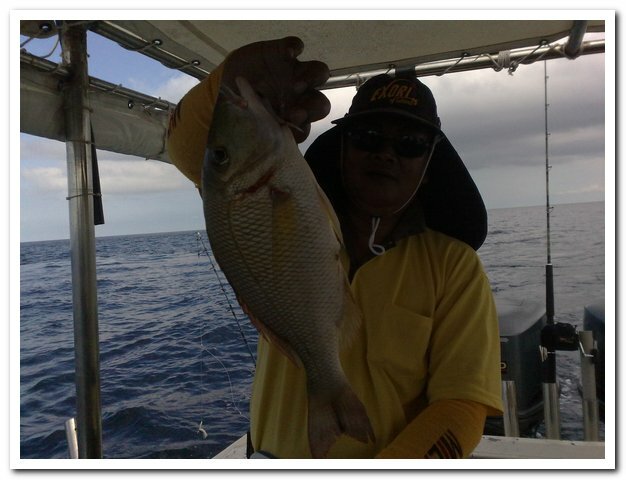 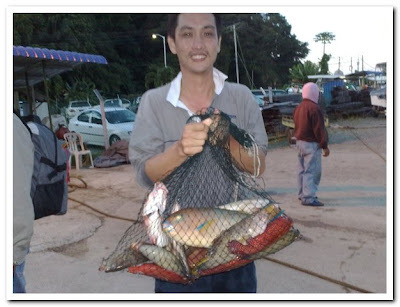 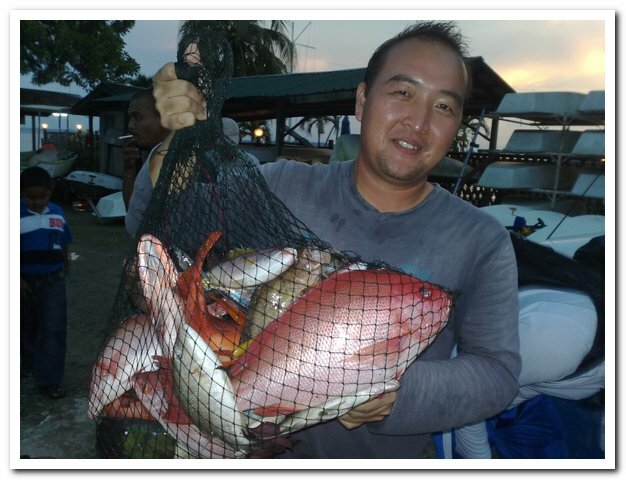 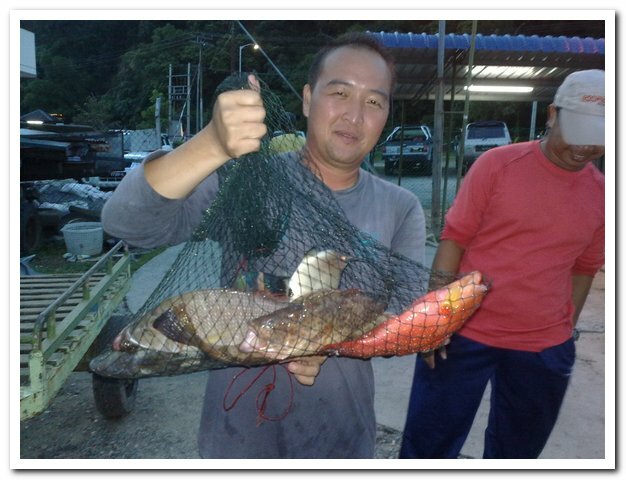 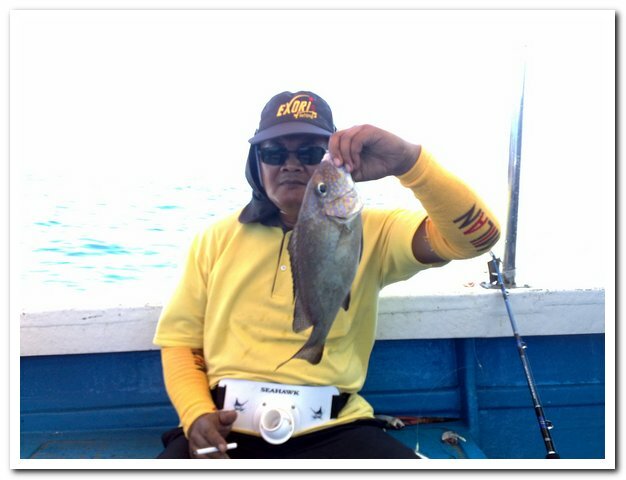 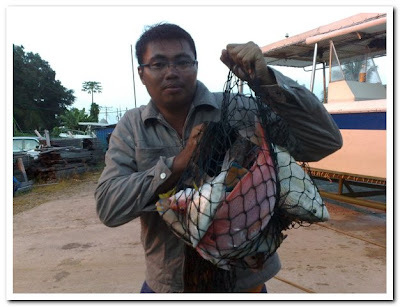 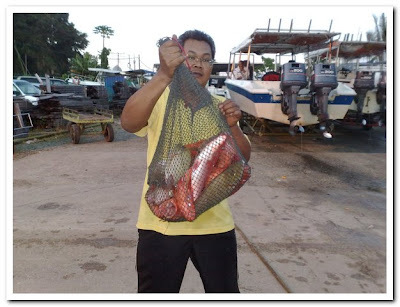 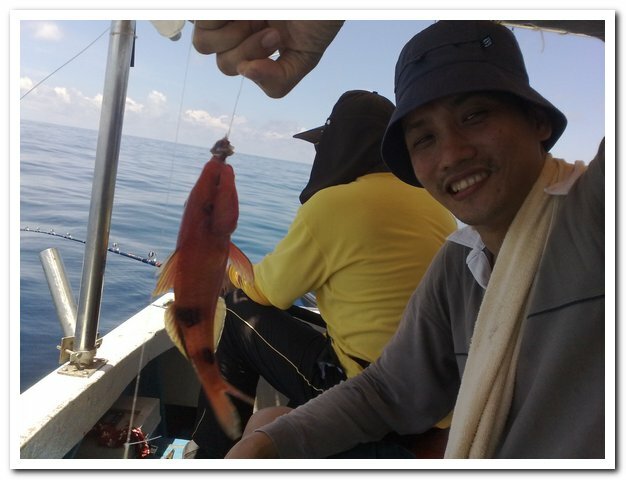 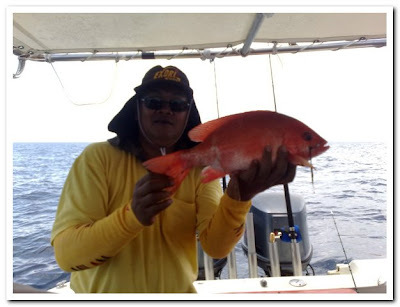 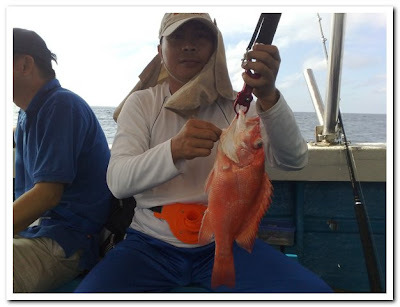 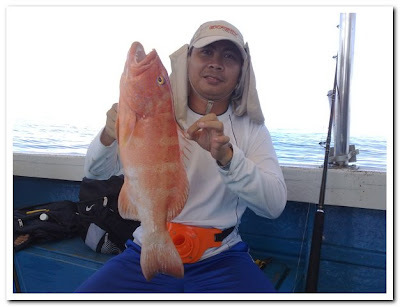 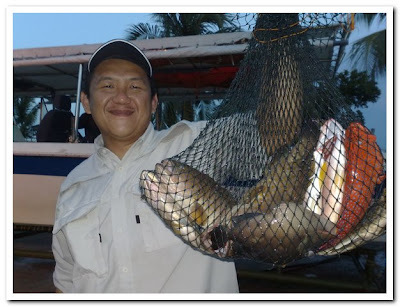 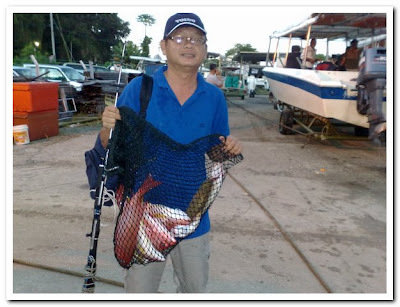 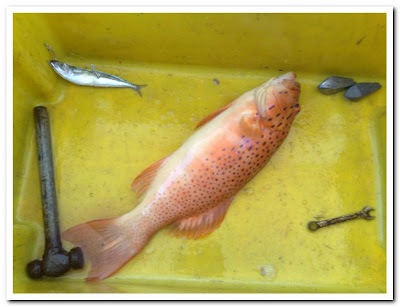 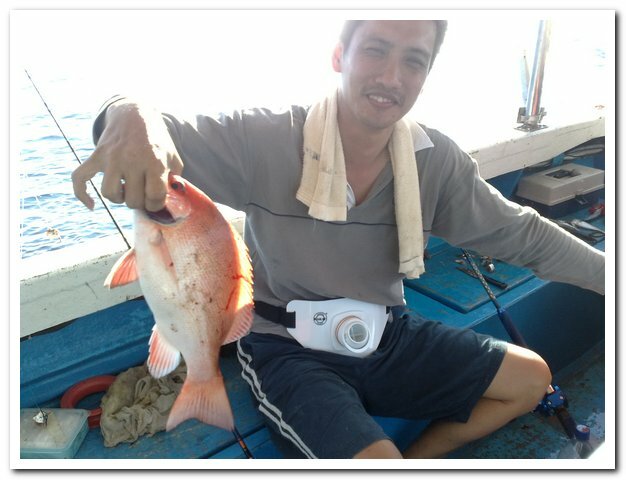 Botak Jack with his 1kg coral trout. 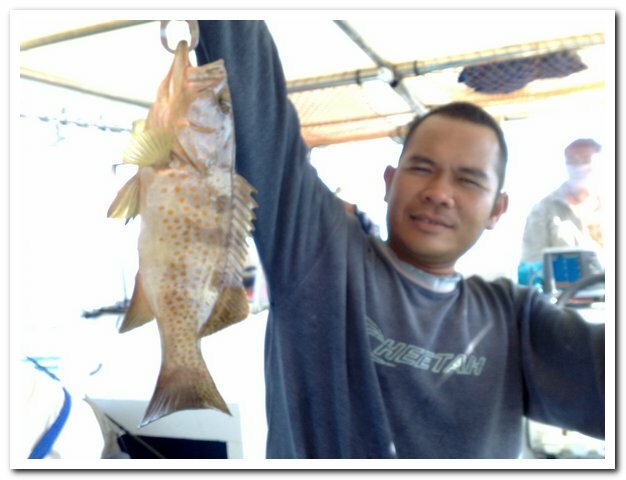 Botak Jack with his sweet lips. 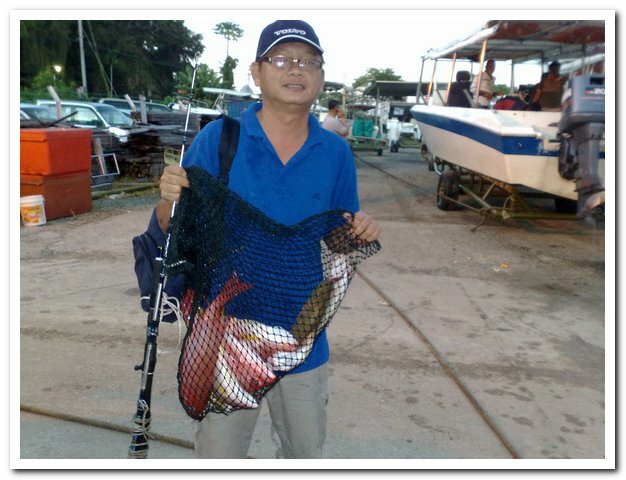 Bob with a pink ear emperor. 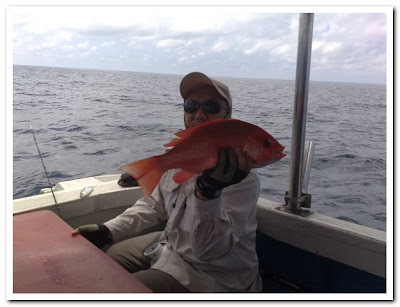 Bob with a good sized red snapper. 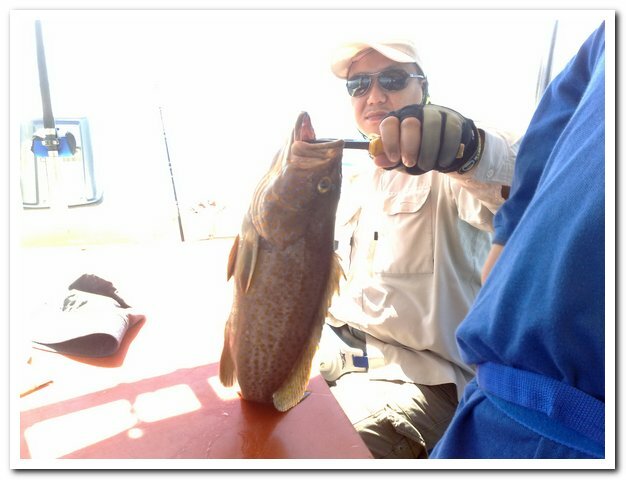 Bob with a good table sized grouper. Jason with a table sized red snapper. 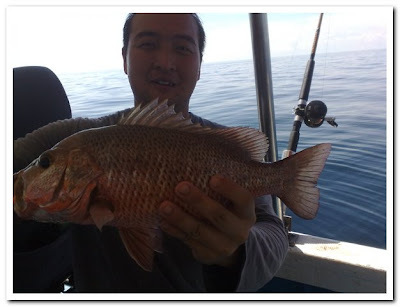 Jason with a cute little fish. 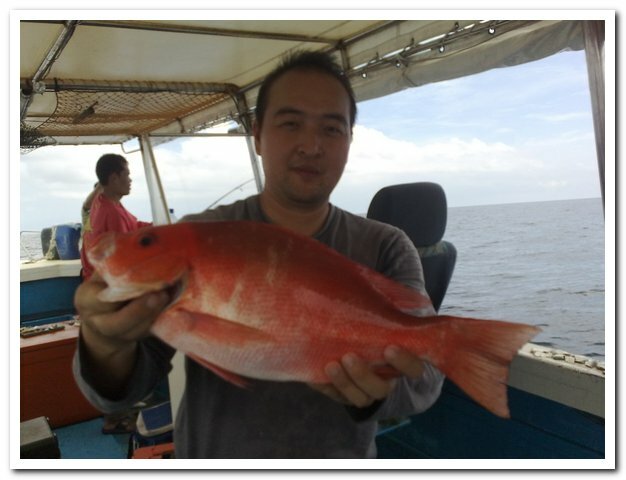 Jason with a red snapper. Myself with a 1.3kg red snapper. 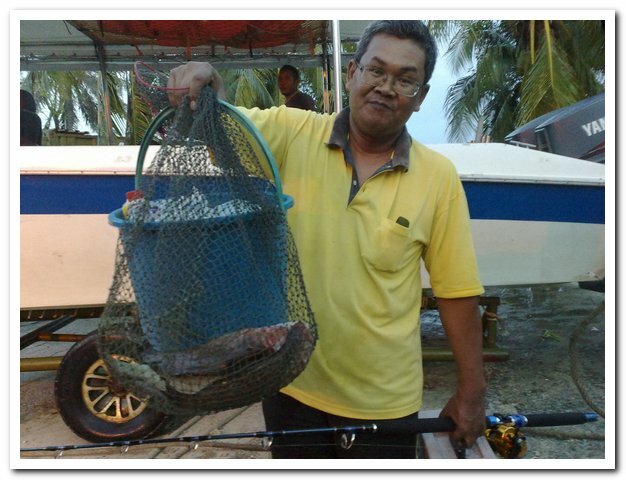 My catch at the first spot. Myself with my very first MJ. 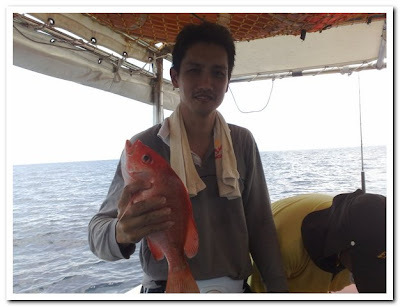 Jepp with his red snapper. 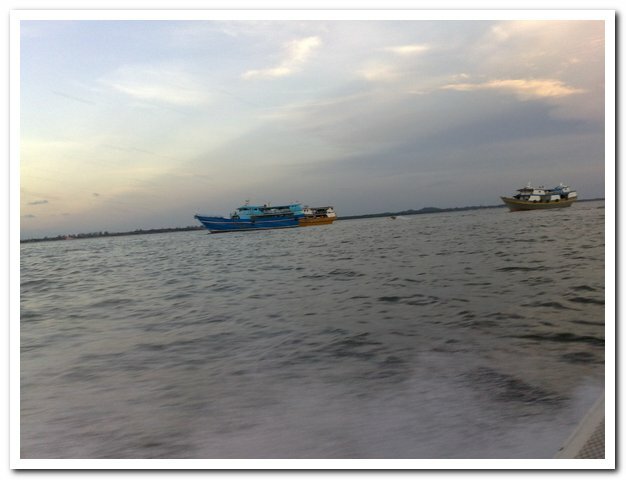 On our way back to Sandakan. The boat we used for this trip. Our catches. 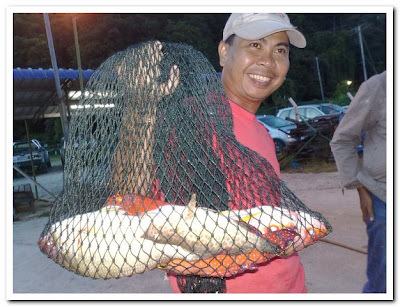 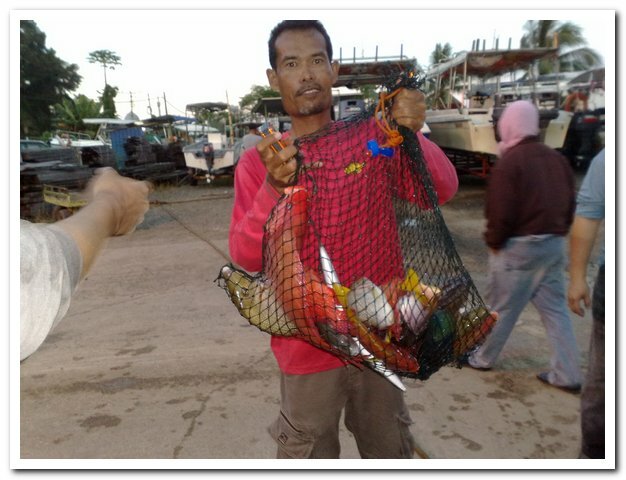 Ismail with his 7kg catches. 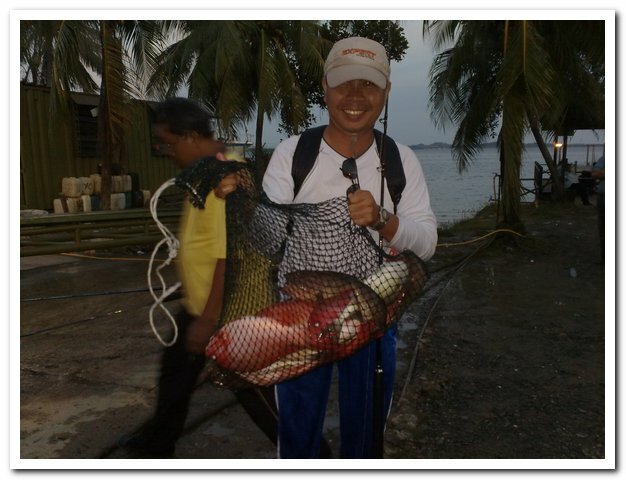 Myself with my 11kg catches.